With keynote speeches from experts Anne-Marie Imafidon, co-founder of Stemettes; Joysy John, director of education for Nesta; Dave Coplin, CEO of Envisioners and chief envisioner at Microsoft; and Liz Sproat, head of education EMEA at Google, the event was packed with insight from across the edtech sector. Joysy John’s opening address on day two of Digifest touched on some of the most widespread concerns in education today, such as the need to focus on interdisciplinary approaches to real-world problems, and building on the strengths of students and industry in the UK to ensure a resilient workforce of tomorrow. The event also included workshops and panel discussions that allowed delegates to share best practice and ask questions to the speakers. Workshops included learning how to learn in a digital age and a connected approach to digital skills development, and panel discussions covered everything from the significance of female robots and how education can help fight sexist stereotypes, to a focus on emerging technologies and their place in challenges for universities and colleges. It is up to all of us, as parents, as teachers, as policy-makers, as leaders of education institutions, to ensure we use technology for a broader, fairer education system. The latter panel heard from Nick Brazil, deputy principal at Gower College in Swansea, Rachel Hall, universities editor at the Guardian, Gwyneth Sweatman, president of NUS Wales, and Sarah Davies, director of education innovation at the University of Bristol. A large focus for the panel was the wellbeing and mental health needs of FE and HE students, and referred heavily to Jisc’s own Horizons report, published that morning. Brazil said: “There is no doubt about the increase in need [of mental health services]. We have to think about how we challenge learners. Expectations are high; students are told they can’t fail, they can’t get less than an A, they have to go to university. We have to consider the transition process carefully. There were also a number of enlightening presentations from university representatives, industry leaders, and Jisc experts. One such presentation, from Dr. Ross Parry, associate professor and deputy pro-vice-chancellor (digital) at the University of Leicester, focused on digital capability, and why a digital strategy revolutionised the way edtech has been implemented at the university. We should prioritise doing the best with what we’ve got. Be clear about what you’re expecting of your students, and that that fits with their wellbeing. Parry referred to the Jisc digital capability framework, and explained how it had been adapted for Leicester’s specific needs. This variety of approaches to the current challenges and capabilities across the edtech sector reinforced the wide-reaching impact of education technology, and of Jisc as a non-profit digital solutions provider. 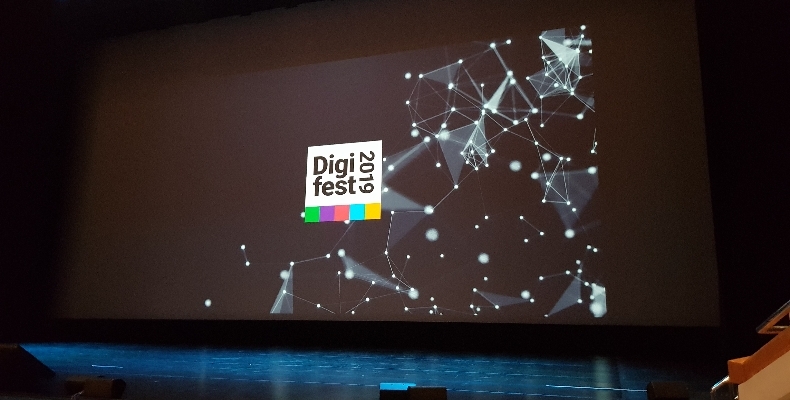 Digifest had an impressive delegate turnout of around 1,000, and there was a high level of interaction both between the attendees, and in questions to panels and workshop leaders. The only thing I wonder about such events, is whether the aura of enthusiasm and willingness to develop and adapt to an increasingly digital world is inevitable based on those who choose to attend. Either way, it was an uplifting experience, and one which I would recommend to anyone who is sceptical about the impact of technology on education. Digifest will surely change your mind. To access presentation materials and links to videos of the event, please visit the Jisc website here.